The local authority reiterated the claim that 973,000 households around Heathrow will experience increased day time noise if a third runway is built. The London Assembly has reaffirmed its opposition to Heathrow’s plans to build a third runway after the UK Cabinet announced its support. The plans were given the nob by ministers at Theresa May’s top table on Tuesday, paving the way for a vote in the House of Commons in the coming weeks. 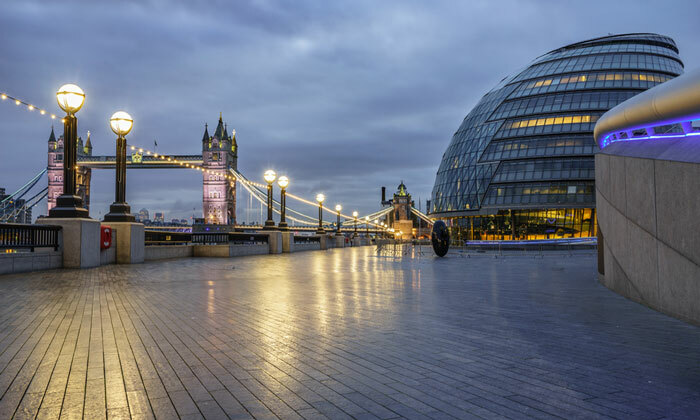 This decision has, as might have been expected given the controversy swirling around the proposed build for nearly a decade, been met with criticism from many quarters, among them the London Assembly which has agreed unanimously on a motion asserting its opposition. Caroline Pidgeon, who proposed the motion said: “The case for a third Heathrow runway is based on a number of false claims, such as the myth that there is no spare capacity at other airports in the South East of England, or that long distance international flights can only be via Heathrow. “But one absolute certainty is that a third runway will create noise disturbance for a further 300,000 people and add to higher levels of air pollution in parts of London where air pollution already exceeds illegal levels. Léonie Cooper, who seconded the motion said: “The Government’s recent decision to expand Heathrow airport and support the building of a third runway will have a far-reaching impact on almost a million London households within the next thirty years. “There are numerous issues that are yet to be resolved with the prospect of a third runway. In addition, the current plans to mitigate its adverse effects on the surrounding environment and the health and social wellbeing of local communities are inadequate. “It is clear that the potential costs and risks to Londoners outweigh the projected economic benefits of the expansion- especially when there are still opportunities to be properly explored at other airports in the South East. This is why I have backed this motion to reiterate why the Government’s decision should be robustly opposed”. The motion reads: “The Assembly notes the Government’s policy as set out in a National Policy Statement supporting the expansion of Heathrow Airport and a third runway. The Assembly notes that around 673,000 households are already affected by Heathrow’s two runways, but Civil Aviation Authority documents released after a freedom of information request have revealed that 973,000 households around Heathrow will experience increased daytime noise by 2050 after a third runway is built. “The Assembly further notes that spare capacity exists in many South East airports and that international air travel from other regional airports such as Birmingham, Manchester and Edinburgh could also support point to point international connections, assisting UK passengers and businesses. “The Assembly acknowledges the work carried out by Transport for London (TfL) which estimates the cost of surface transport improvements to meet the needs of an expanded Heathrow airport to be underestimated by more than £10 billion by the Airports Commission. “The Assembly further acknowledges the recent work of the House of Commons Transport Committee which, despite previously supporting Heathrow expansion, has made it clear that additional safeguards are needed before any vote takes place in Parliament to ensure that the adverse environmental, social and health impacts on affected communities of a third Heathrow runway are fully addressed. The Committee also highlighted the need to address waste management issues as a result of the need to move the Lakeside Energy from Waste plant from its current location if a further runway is built at Heathrow. “The Assembly believes that many fundamental issues remain unresolved about the expansion of Heathrow airport. The Assembly therefore wishes to reiterate its long-standing opposition to a third runway at Heathrow airport and the Assembly resolves that, in the light of its fundamental objection to this, we will campaign to prevent its implementation. More about the London Assembly here https://www.london.gov.uk/about-us. Posted: Sunday, June 10th, 2018. Filed in General News, News about Airports, Recent News.